select *, DATE_FORMAT(birthday, "%b %e, %Y") as _birthday, DATE_FORMAT(died, "%b %e, %Y") as _died, MONTH(birthday) as month_birth, DAY(birthday) as day_birth, DATE_FORMAT(birthday, "%b %e") as _birth_day_month from agatti_people where agatti_people.u_name = "greer-garson"
Shares birthday with Stanley Kramer, Virginia Bruce, Trevor Howard see more.. Legendary actress, Greer Garson, was born Eileen Evelyn Greer Garson on Sep 29, 1904 in London, UK. Garson appeared in over 40 film and TV roles. 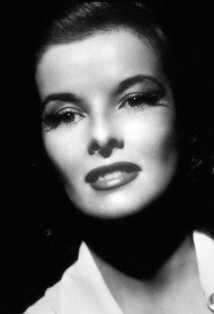 Her best known films include Pride and Prejudice, Mrs. Miniver, Goodbye Mr. Chips, Random Harvest and Madame Curie. 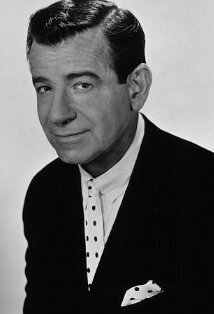 Garson died at the age of 91 on Apr 6, 1996 in Dallas, TX and was laid to rest in Sparkman Hillcrest Memorial Park Cemetery in Dallas, TX. Greer Garson was born Eileen Evelyn Greer Garson on September 29th, 1904 in the Newham borough of London, England. She was the only child of Nina and George Garson. Although born in London, George came from Scottish roots and worked as an office clerk for much of his life. He died during an appendectomy, leaving Nina the sole provider of little 2-year old Garson. She would support herself and her daughter by managing a series of townhouses her husband had owned. Greer's childhood was marred by chronic illness, particularly bronchitis and would spend much of her childhood winters in bed. To pass the time, the young child would read and study, building a strong mind to compensate for her sickly physical state. She spent her summers in Ireland with her grandparents. Thanks to her studious nature, Garson received a scholarship to the Kings College in London in 1921. She remained there for five years, earning a bachelors degree in French, as well as 18th century literature. Although she was initially on the career route of becoming a teacher, her time in college helped her develop a new passion: acting. She went on to do post-gradate work at the University of Grenoble in France, where she studied French theatre for a year. After graduating, she began to work at an advertising agency in their research library. During her free time, Garson would act in local theatre productions. In 1931 Garson joined the Birmingham Repertory Theatre and the next year would make her stage debut in Street Scene. The critics praised her performance, calling her a promising newcomer. She would spend the next two years with the company, honing her skills as an actress in a variety of small roles. Her time with the company, however, would come to an end when she was forced to terminate her contract thanks to an extended bout of pneumonia. After her health started to improve, Garson immediately returned to acting. In 1935 she landed a part opposite Laurence Olivier in the Golden Arrow, marking her West End debut. Although the play was unsuccessful and flopped at the box office, she and Olivier were praised for their performances and Garson remained a steady sight on the London stage. She also appeared on television during its earliest and still experimental years. These performances are the earliest know plays to be performed on TV. In 1937 Garson caught the eye MGM mogul Louis B. Meyer while performing in the play Old Music. While in London talent scouting and was immediately taken by her flaming red hair and reserved English manners. Although initially skeptical of a film career, she simply couldn't ignore the money and good weather a permanent move to California would provide her. She soon signed a seven-year contract with the studio and headed east for The Americas. 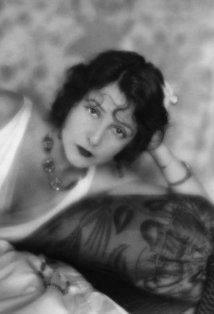 Upon her arrival in Hollywood, Garson found herself very disappointed. Although she expected to begin working right away, Mayer had neglected to find the actress any readily available projects. 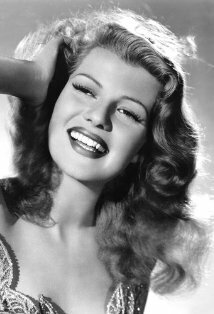 She also refused to play supporting roles as she considered it an insult when she traveled so far to begin a film career. 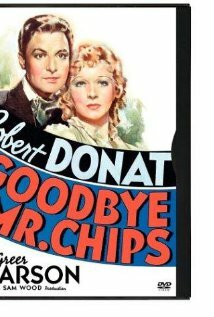 A year and a half went by before she began working on her first MGM picture, Goodbye, Mr. Chips. In the film, Garson played a young suffragette who marries the films titular protagonist, Charles Edward Chipping. Although a relatively small part, the role was integral to the films plot. The film was released in 1939 to high box office sales, and rave reviews, particularly for Garson's turn as the empathetic and energetic, Kathy. For her efforts, Garson received her first Academy Award nomination for Best Actress. Her next role was in the forgettable comedy aptly names Remember? opposite Billie Burke. 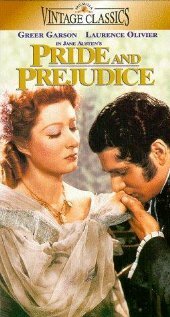 In 1940 Garson was cast in Robert Z. Leonard's adaption of Jane Austen's novel Pride and Prejudice opposite Laurence Oliver. Although 36 year old, she was seen as a natural to play the poised, elegant but stubborn 20-year old Elizabeth Bennet. The film was well reviewed and garnered much critical acclaimed for Greer's performance. 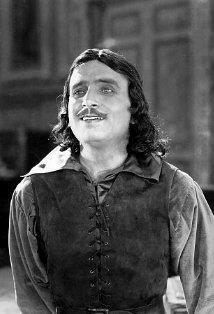 The next year she starred in her first Technicolor film, Blossoms in the Dust opposite Walter Pidegon. 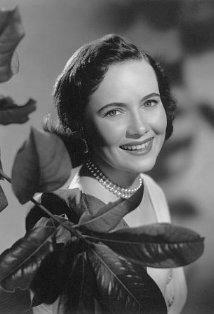 The film acted as loose biography and early child rights activist, Edna Gladney. The earned her second Academy Awards nomination and the first of her five consecutive nomination for the Best Actress Oscar, that tied Bette Davis's record for nomination between 1938 and 1942. The record still stands today. The next year she was cast as the titular role in the William Wyler civic propaganda piece Mrs. Miniver. In the film Garson plays Kay Miniver, matriarch of the Miniver family who must work to keep her family poised and calm on the home front as WWII wages closer and closer to their front steps. The film was massive success. Critics hailed it as the best film of the year and audiences flocked in droves to the theaters to see it. The filmed grossed over almost nine million dollars at the box-office, not only making it the most profitable film of the year, but the most profitable film MGM studios had make to date. The film would go on to be nominated for 12 Academy Award nominations and win six, including Best Picture, Best Director, Best Writing and a Best Actress trophy for Greer Garson. With an acceptance speech that clocked in at 5 minutes and 30 seconds, Garson hold the record for longest Oscar acceptance speech. Because of her, the Academy created a time limit for acceptance speeches. 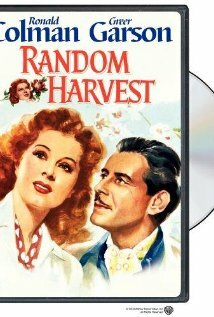 Later that year she starred in the in big screen adaption of the James Hilton novel, Random Harvest. She would go on record as saying the film was her favorite romance. In 1943 she starred opposite Walter Pidgeon for the fourth time with the biography picture, Madame Curie. In the film, Garson played famed physicist Marie Curie and chronicles her life and romance with fellow physicist Pierre Curie. She next year starred in the 1944 drama Mrs. Parkington, earning yet another Academy Awards. 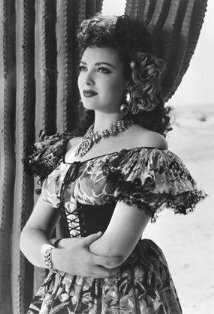 In 1945 she starred opposite Gregory Peck in the romance Valley of Decisions. 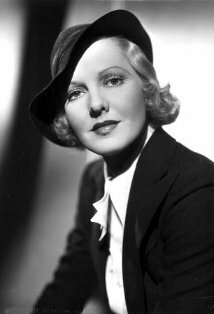 The film would garner Garson her fifth consecutive Academy Award. In 1946, Garson's star began to fade. With the end of WWII, audience's taste in films began to change. The "Women Pictures" of the 30's and 40's began to fade from popularity while audiences began to welcome grittier, more realistic films. That year she starred with Clark Gable in his first post-war film Adventure. Although it did well at the box office, critics were not so kind to the film nor Garson. Her next film was box office bomb Desire Me opposite Robert Mictchum. She reteamed with Walter Pidgeon for the comedy Julia Misbehaves in 1948. The film was yet another box-office loser. She would continue to suffer box office losses with films like That Forsythe Woman, The Miniver Story, and Scandal at the Scourie. In 1953 Garson appeared in her first hit in years with the Joseph L. Mankiewicz adaption of Shakespeare's Julius Caesar as Calpurnia. The next year, her contract with MGM expired, and neither she nor the company were interested in continuing their relationship. After leaving MGM, Garson took a hiatus from acting. When she did return, it was not the screen but to the stage. In 1958 she made her Broadway debut as the titular character in Mame. 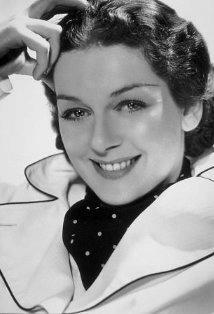 She had replaces Rosalind Russell who was working on the filmic adaption of the popular play. In 1960, she made her screen comeback as Eleanor Roosevelt in Sunrise at Campobello. For her efforts, Garson was nominated for her seventh and final Academy Award. In 1966 she appeared in The Singing Nun, playing Mother Prioress. The next year she would star in her final theatrical release opposite Fred MacMurray in The Happiest Millionaire. In 1968, she narrated the children's Christmas television special The Little Drummer, which still airs regularly during Holiday today. Over the next decade, Garson kept busy by appearing on television and devoting herself to philanthropic causes that cantered on the performing arts. 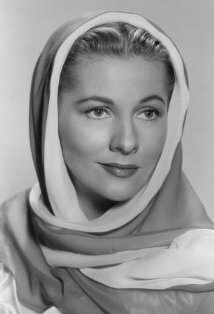 She donated millions of dollars to the Southern Methodist University in Dallas and went on fund the Greer Garson Theatre that opened in 1992. The design was sanction by Garson, who stipulated the design be a circular stage to resemble the Globe Theatre in London. In 1990 Garson received the Women's International Center Living Legacy Award. Greer Garson died on April 6th, 1996 of a heart attack in her Dallas, Texas home. She was 91 years old. Greer Garson was nominated for seven Academy Awards, winning one for Best Actress for Mrs. Miniver (as Kay Miniver) in 1942. She was honored with one star on the Hollywood Walk of Fame in the category of Motion Pictures. Greer Garson's handprints and footprints were 'set in stone' at Grauman's Chinese Theater during imprint ceremony #65 on Jul 23, 1942. Paula: Oh Smithy, You're ruining my makeup. Well-known for activities on behalf of educational and cultural institutions. In 1938 she suffered malnutrition from embarking on a crash diet to achieve the standard Hollywood slimline figure. Lana Turner remembered that in the MGM wardrobe department, Garson's fitting mannequin had the largest hips, "but she is a tall woman."